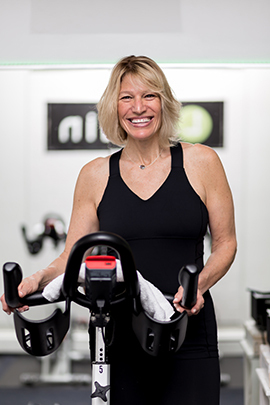 Laurie Parkinson, an avid cyclist and triathlete, realized her dream and opened L Train Cycling Studio in December 2006. Laurie has raced in 10 triathlons. She started Westchester Adventures, an outdoor cycling business, in 2001 to share her love of cycling and fitness with others. Since then she has become a leading certified spin instructor from both Schwinn and Madd Dog Athletics. Laurie is known for her positive energy, enthusiasm and passion for spinning. L Train has quickly became a haven for locals looking for inspiring and effective workouts set to great playlists. This past year, Laurie expanded her services as she began working with the physical education departments in high schools, training teachers and developing cycling programs for their students. Now Laurie has taken her passion even further and is a certified personal trainer through SCW.Her approach is simple. She works closely with her clients to understand their personal needs and fitness objectives and from the insights she gains, Laurie develops customized programs that help her clients achieve their goals. As a Larchmont resident, giving back to the community has always been important to Laurie. She and her team have created a loyal community of followers that goes beyond the studio. They have hosted and sponsored many fundraisers for local and national charities and organizations. Parkinson received her Bachelor of Fine Arts degree in Theater from Ithaca College. When not on the bike, Laurie enjoys spending time with her family and friends and loves to watch her 4 sons play football. With over 20 years of experience in all aspects of fitness, Andrew’s appreciation and passion for spinning comes shining through in all of his classes. 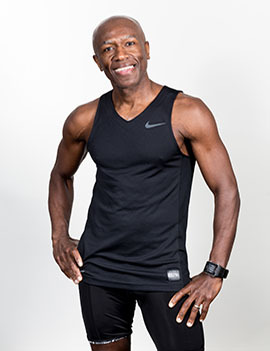 As a former competitive athlete in bike racing, duathlons and running, he naturally brings enthusiasm, great energy and motivating music to L Train. When not teaching on the bike, you can find Andrew cycling outside with his triathlete wife and twin 12 year old sons. Kari started taking classes at L Train two summers ago and since she started, she hasn’t looked back. An avid spinner, she became a certified spin instructor through Madd Dog Athletics. She is excited to start her indoor cycling teaching career at L Train. When not spinning, Kari can be found running around Larchmont with her three kids and nephew or walking her German Shepherd. Will, a football player and sports management major at SUNY Cortland, comes to L Train to share his passion for fitness with our family of riders. 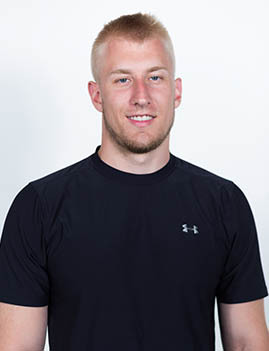 Whether he is on the field or working out in the gym, he believes in hard work and getting results. Will’s classes focus on drills and routines that maximize the complete workout from strength building and speed work to going the distance. His smile and charm, along with his motivational workouts, brings out the best in every class.